Impressed with Team India's recent success in the pace bowling department, former Australian legendary fast bowler Glenn McGrath on Thursday said that he sees no weakness in the team's seam bowling department. McGrath also heaped praise on Indian pace bowlers including Jasprit Bumrah and Bhuvneshwar Kumar. India had an unforgettable 2018 in both whites and coloured clothing. The Virat Kohli-led side defeated South Africa, Australia and New Zealand in their own den, laying a marker ahead of the upcoming World Cup 2019. India have always been a batting heavyweight side, but things have recently seen a turnaround. The likes of Bumrah, Bhuvneshwar, Mohammed Shami and others have greatly impacted the team's bowling performances, helping them post some tremendous results. During India's maiden Test series win in Australia, the quality of their seam bowling played a major role. Having taken notice of that, McGrath said that the Indian bowling attack looks 'incredible'. "At the Test series in Australia recently, I didn't spot any weakness. India's bowling unit was incredible. It (the challenge) is about keeping them fit and on the park," he told The Times of India in an interview. McGrath, who is the director of India's MRF Pace Foundation, also narrowed down on Bumrah and Bhuvneshwar for special praise, saying that they will be play an important role in the upcoming World Cup. "I have been a massive fan of Bumrah. The way he goes about his game, the attitude he showcases is top-notch. To me, both Bhuvneshwar Kumar and Bumrah will hold the key for India's chances at the World Cup," he added. India's players are currently gearing up for the Indian Premier League (IPL), which starts on Saturday at Chennai. 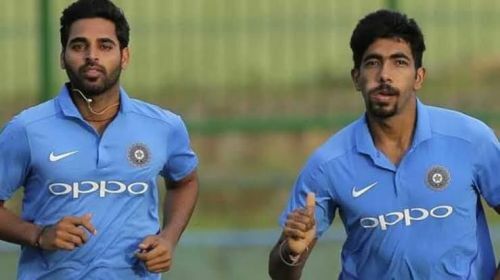 The onus will be on Bumrah's and Bhuvneshwar's teams - Mumbai Indians and Sunrisers Hyderabad respectively - to manage their workload efficiently enough and keep them fresh for the World Cup.